Hands down, my greatest weakness when it comes to creative ventures is time management. I usually have at least two projects underway at any given moment and am always plotting at least one more, but I rarely complete any of them in a timely manner. Yes, I work full time on top of these passion projects, but I should still have some time left over to focus on making stuff, right? On average, I work eight or nine hours a day and sleep about seven, so that’s sixteen out of twenty-four hours down the drain right from the start. Yes, that’s a lot of lost time, but that still leaves eight hours to carve out time to create. Oh, to have eight full hours a day to work on ANYTHING! You and I both know that’s not a likely scenario. What about making and eating dinner? The dog’s getting restless, time for a walk. Dishes are piling up, laundry needs done, gotta get to the grocery store, have some bills to sort out, oh and how about we avoid alienating everyone important in our lives? Eight hours becomes about an hour divided into inconvenient intervals just like that, and I don’t even have kids! Creative parents, I don’t know how you do it, and I salute you. Now that we’ve identified how precious and fleeting our time is, we need to make some adjustments and mold an itinerary that works for us. A few years back, my work schedule changed from a 6:00 AM start time to 8:00 AM, and I decided I’d just keep getting up around 5:00 and try to utilize that uncluttered morning-brain to work on writing and editing. I was already on the schedule, so it didn’t feel like a seismic shift in my day to day, but it made a massive impact on my productivity, and I still get up way too early every work day. Well… almost every work day. I’ve never been a morning person, but I was surprised to find out how much I’m able to accomplish in this seemingly insignificant window. I highly recommend adding an hour to your morning routine if you find yourself struggling with deadlines or project completions If not for these morning sessions, I think my LetterWorks associates would’ve kicked me to the curb for not keeping up with the workload! That’s a little over one hour per day that I’ve wrangled for myself, but I still needed more. 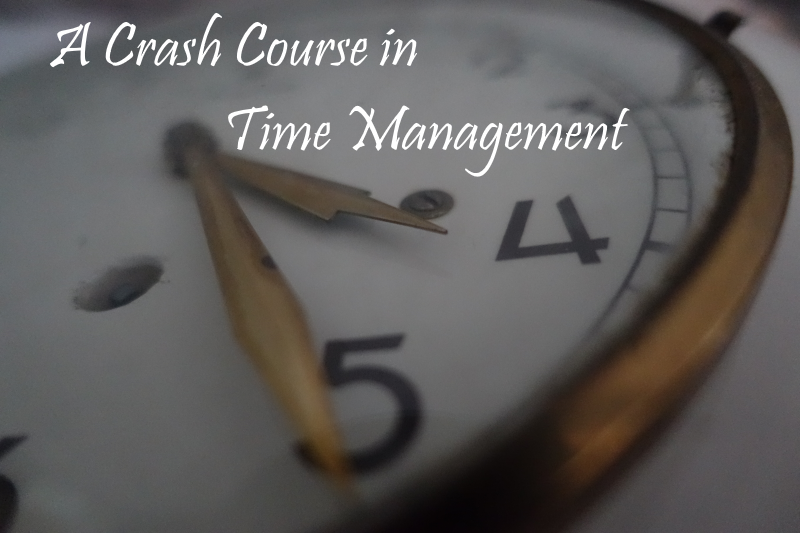 I started reading time management tips and blogs, and decided to look into auditing my time. I downloaded the Toggl app and have been dutifully logging my activities for about a week now. It seems strange to record everything you do over the course of the day, but since I always have my phone handy, I can update it as an alternative to checking social media. This comes with the added bonus of sparing myself the shot of existential dread from watching society collapse in real time, so it’s already worth it! I haven’t logged my social media use specifically, but using the Screen Time app, I’ve got a few hours per week that I could at very least use for reading, organizing, or otherwise planning something related to my creative endeavors. If you’re interested in auditing your time but don’t think an app is right for you, here’s a handy printable chart you can use! As expected, the majority of my pie chart is eaten by work and sleep, but I do have moments here and there to lock into tasks that don’t require the full focus of editing or writing, like catching up on emails. I’ve squeaked in time between getting ready for work and actually leaving (fifteen minutes on Monday! ), while dinner is cooking, and then of course in the evening after my other life-essential tasks are done. You may find as I did, that evenings are not as easy to schedule productivity into as I had assumed. There are the usual day to day activities, but then we also have our loved ones to consider. I have no desire to just abandon my girlfriend between dinner and bedtime, and generally will not unless I have a pressing deadline. I can, however, work on layout, website updates, project promotion, writing emails, or other mission-adjacent tasks when we sit down to watch TV. This doesn’t always happen, but as I continue to monitor my time usage, I get better at spotting windows like this that I can utilize. Another thing I’ve discovered is that simply scheduling and logging time doesn’t always lead to results. In these cases, I’ve been careful to note what variables are at play so I can try to either plan around them or prepare for them in the event that I can’t reschedule. Sometimes this means skipping an early morning session in favor of sleep after a particularly long or grueling day at work. Setting goals for each session has been helpful as well. Whether I set a word or page count for a specified period of time, or set a time limit to complete a task, I find that goals are good motivators. This would’ve been utter speculation had I attempted it before keeping track of my productivity, but now I have an idea how long it takes me to write and edit a blog post, or how much of a magazine layout I can get done in an hour. And speaking of motivators, logging milestones and completed projects is a great way to see that you’re making progress and your efforts are paying off! Here are some helpful links to get you off and running with your own personalized time management regimen! This one is particularly helpful to anyone feeling like society is conspiring to hijack our free time. This Forbes article caters more to the business-minded than creative types, but still contains some solid points. Plus, most writers are basically one-person businesses! Here’s one for screenwriters, but applies to anyone looking to string more words together. The aforementioned app, Toggl has some ideas on how it should be done as well. Visit our homepage for rates, services offered and editor information. Please visit our homepage for our rates, testimonials, editor profiles and more!